Why does my dog lick their paws in the winter? 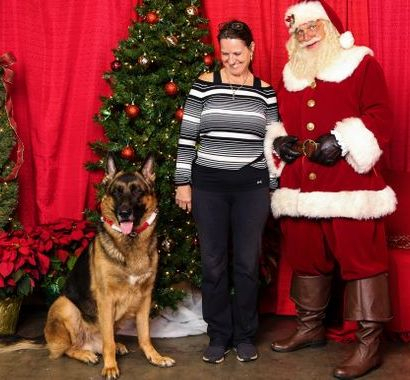 Share the joy of life with an extraordinary~ smart ~healthy~ well bred ~West German Appleridge German Shepherd. Happy to announce we and the dogs have relocated to beautiful sunny Ocala, Florida. We are glad to bring pups to our Griffin home for clients. Check out our upcoming litters for future puppy plans! Now DM & OFA Testing All Breeding Dogs for your Peace of Mind! 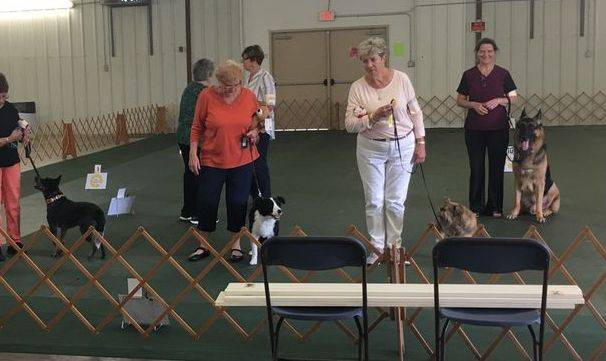 Shockwave Pulls off the impossible, completing his RAE for Rally Obedience in 2018. Our handsome guy has completed his 20 Triple Q's for his Master Rally Title and RAE2 in 2019. Shockwave ( above) finishes 2018 in a BIG way with Obedience Rally Master , 9 Double Q's for his RAE, 1 Triple Q's , Farm Dog Certified, Trick Dog Performer and so many more Fun Accomplishments . What a Year!!! 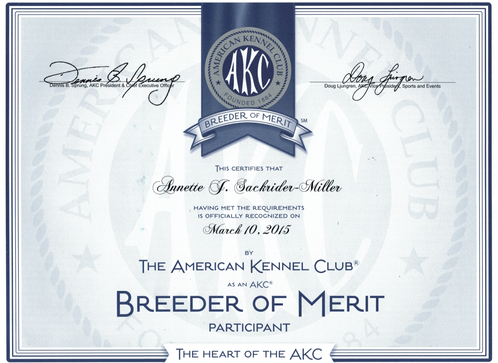 We pride ourselves on Breeding these great dogs, and are NEVER brokers. Decades of experience creating dogs of distinction that make a difference in the lives of humans. We craft a versatile, stable, loving, loyal, extremely smart and trainable GSD out of the best West German lines in the World... to ours. There is No substitute for Quality and Experience. Lifetime Support & Coaching! provided, NO Charge! Our dogs are part of our Family. They live in our homes with our family, cat, little Lola (Papillion) and our children. 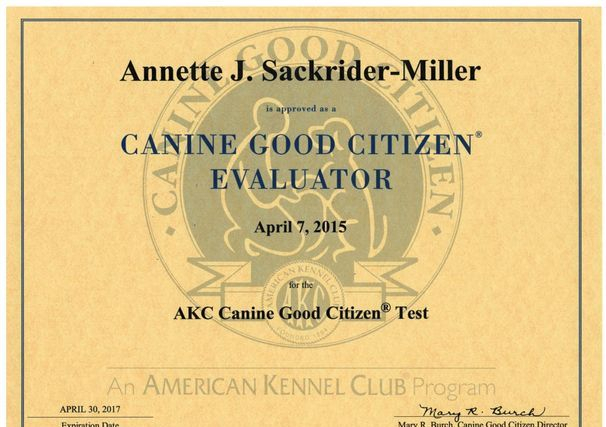 Let us, help you, make your dog into a "Great Dog"
Debbie Triplett has joined the training team, lucky all of you! So Classes will be regular again. Submit reservation here to hold your spot! Come visit us at Our lovely Family Home in sunny Ocala Florida. 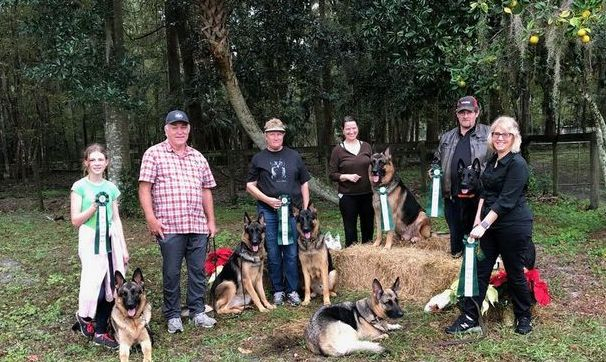 "WELCOME TO APPLERIDGE GERMAN SHEPHERDS"
"A Honor that Speaks Volumes"
Appleridge has the Highest regard for the Institution of Registration to preserve Purebred dog breeds for our Children and grand children to enjoy! Our Irish grandson "Judge" (above) it is hard to describe how much we "love" this dog. He brings us so much joy, everyday. He blesses us with his love and giving, happy generous personality. Appleridge is incredibly proud to provide Leader dogs for the Blind, with their new recruits and breeding stock. We feel blessed to be chosen to help physically challenged individuals lead full and satisfying lives with the aid of their furry best friend. We absolutely commend "Leader Dogs for the Blind" for their hard work and dedication to this very important and noble cause. Please see for yourself or if your looking to help a visually impaired individual to a better life. Lets all support such a valued program in our society. Check our parents' pedigrees. 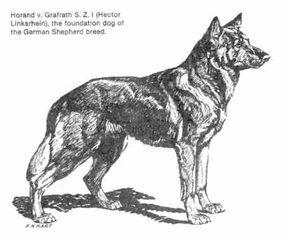 Old VA German lines going directly back to the original kennels that created this magnificent breed. 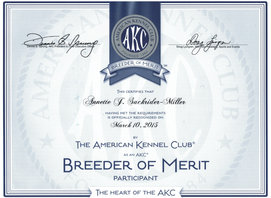 Some of the World's best breeders of yester years blended together to make your next dog. We offer pups with full health guarantees, extremely detailed Veterinarian health check, documented and provided to you in your personalized Puppy Binder. 2 Vaccines, ISO micro chipped, wormed every 2 weeks from birth and offered with Lifetime support. Full color DVD of Family history, Family tree, health and titles plus full color pictures of 5 generations of your pups family. Training DVD provided too! No messing around, these kids are Hobby Breeder made to the very best of our ability over 39 years. Money was no object creating our pedigrees. Titles galore. Meet the parents and you will be impressed. Rock solid in every way. From our family to yours. Bring you young children, other dogs, cats and elderly for the visit too. We will prove to you that we absolutely trust and believe in our dog temperaments. Loving, loyal, smart and naturally protective without compromising calmness and stable temperaments. Judge enjoying his nuVet vitamins. We have used these vitamins for over 2 decades now and no they make the difference between healthy certifiable hips and elbows plus a great immune system or.... years of problems from a early development nutritional diet that was not balanced or complete. We take no short cuts when it comes to our dogs health. 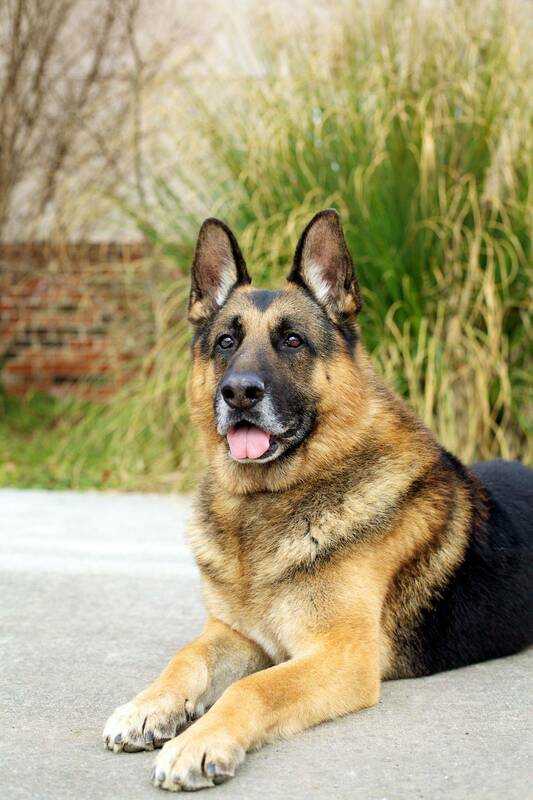 Appleridge is a dedicated German Shepherd breeder that has Legions of titled dogs over decades. 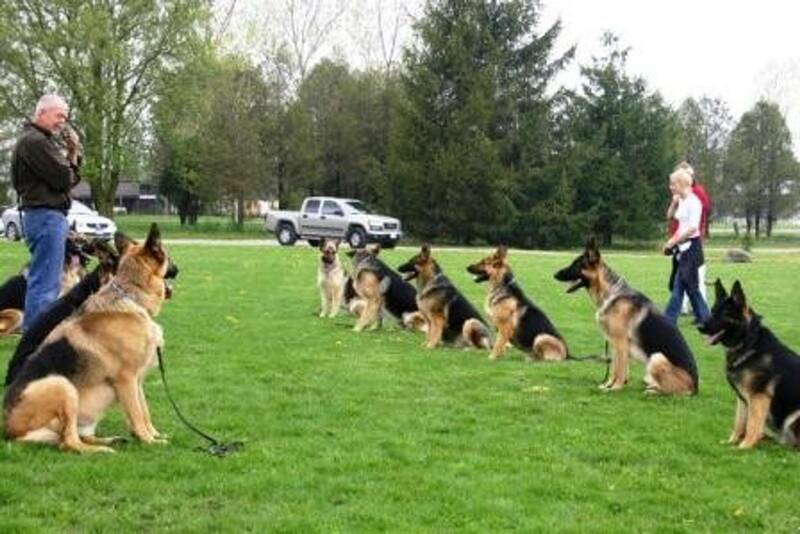 Obedience, Rally, Assistant Dogs, Family dogs. Maverick is a Champion !!Yeah!! Congrats Julie & Mav!! Dream the dream and make it happen. Living in a Daycare, all the while a intact working dog! Great trainer and fantastic support makes the perfect combination for one of the GREATS! 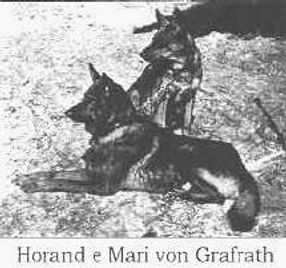 We have dedicated our lives day in day out, year after year, to bringing Quality German Shepherd Dogs to families just like yours. We have been blessed with these amazing dogs and are excited to share them with families that will appreciate our commitment for future generations of humans to cherish. To honor the tradition of a versatile loyal loving family companion with NO extremes. 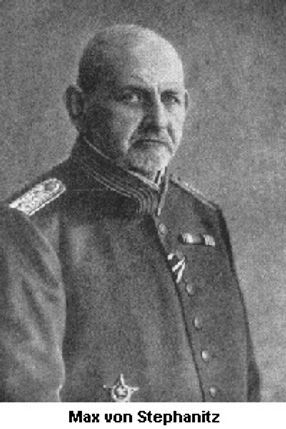 Our focus is on preserving the perfection created 100 years ago by Cavalry Captain, Max von Stephanitz on April 22, 1899. Essentially a working dog with exceptional trainablity and loyalty. We also value calm dogs with a steady temperament. Appleridge lines have built a reputation over the decades for their incredible intelligence, calmness and great character. 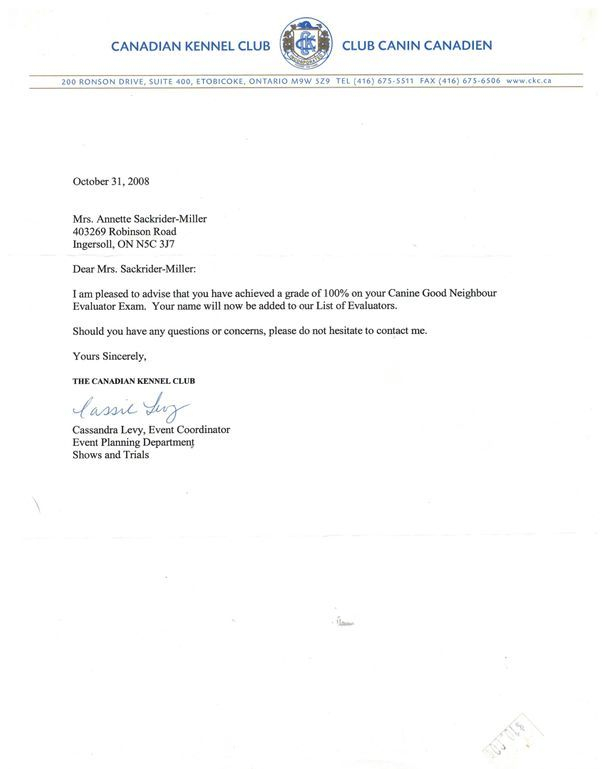 (1) You maintained membership in good standing for a minimum period of ten consecutive years. 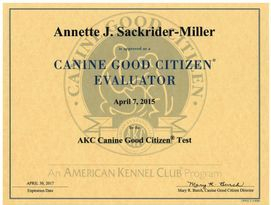 (2) You bred purebred dogs for a minimum period of ten years and that you bred or owned not less than five dogs individually registered with CKC which included APPLERIDGE in the dogs’ names; and, that each of these dogs had been granted a CKC title. (3) You have not been subject to disciplinary action during the term of your membership which resulted in suspension, deprivation, termination or expulsion. 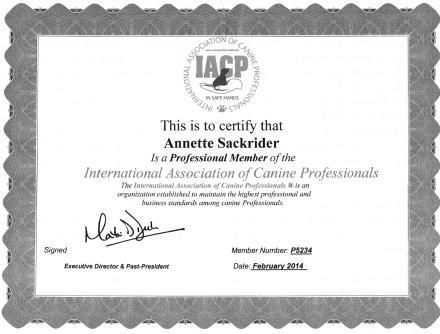 Our lines have grown to be known for excellent scenting dogs whether for service, keen trackers or alert dogs. Many family dogs will excel at multiple tasks, as families generally are full of life and experiences that fill their dogs days with activities and learning experiences. Hide and seek is a fabulous prelude to search and rescue, enjoyed by young and old alike. Willingness to please is what a Appleridge dog is all about. 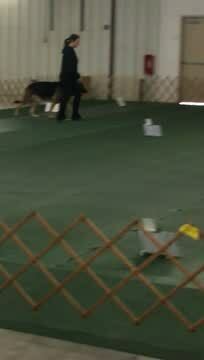 With a good leader these well bred dogs from the World Top Pedigrees can learn to your hearts desire. When raised properly to respect family structure and pack leadership, these dogs will go on to be almost telepathic in nature and be cable to predict your need as you are thinking it. Appleridge creates dogs of sturdy nature, larger boned with traditional type and colour. We appreciate the many types of GSD's available, but choose to stay steadfast in tradition. A dog that thinks before acting, a dog that respects other animals and any age human, a dog that enjoys being a member of it's pack and loves life to the fullest with their family members, one that would gladly sacrifice their own life, if the pack is being threatened, yet is tolerant to the empth degree of family and friends. 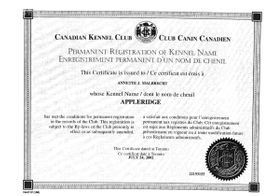 # 1 Obedience Dog in Canada 2003 All Breeds "Comrade"